We are excited to announce that our X Zone apparel collection has grown! With the expansion of the selection, we look forward to offering high quality and comfortable X Zone swag that you can be hyped to wear! 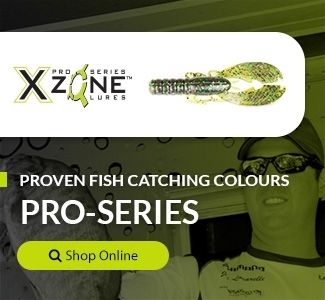 If you fish X Zone Lures, you know and have confidence in just how well they work. Our Proven Success line of hats backs up that statement, as we offer our Proven Success hat in two different colour full back Flexfit hats ( black and charcoal ), and a flat brim snapback hat in dark heather. The patch itself is constructed of twill fabric and then embroidered. As far as the application process goes, the patches are heat sealed on our hats and finished off with a running stitch on the outside. Our Stealth line, offers hats, short sleeve tshirts and a long sleeve t-shirt. Available in a light grey full back, a black trucker hat and a black / charcoal trucker hat, everyone will see you coming in this slick gear! The patch itself is constructed the same way our other patches are;twill fabric and then embroidered. The tshirts and long sleeves are light weight, soft and durable. Durable gear is something that all anglers need while on the water! 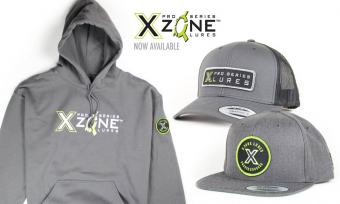 Take a closer look at our new collection of X Zone Apparel here.